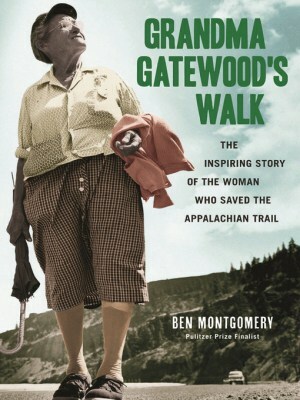 Back in 1955 Emma ‘Grandma’ Gatewood (67 – mother of eleven and grandmother of twenty-three) was the first person to solo hike the (3,000km = 5 million steps ) Appalachian trail using her own home-made gear…She stood five foot two and weighed 150 pounds and the only survival training she had were lessons learned earning calluses on her farm. She had a mouth full of false teeth and bunions the size of prize marbles. She had no map, no sleeping bag, no tent. She was blind without her glasses, and she was utterly unprepared if she faced the wrath of a snowstorm, not all that rare on the trail. Five years before, a freezing Thanksgiving downpour killed more than three hundred in Appalachia, and most of them had houses….And she walked it THREE times…so what’s STOPPING you!